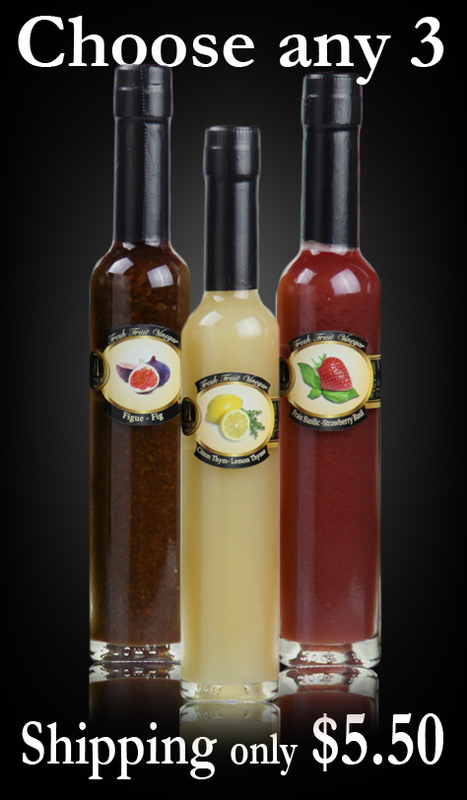 Fig Fresh Fruit Vinegar is one of the newest additions to our family of great vinegars. This is the best side for a cheese platter and for plate decoration. The true taste of fig is perfectly balanced with a pallet cleansing acidic finish. It is sure to impress even the best chefs and foodies. 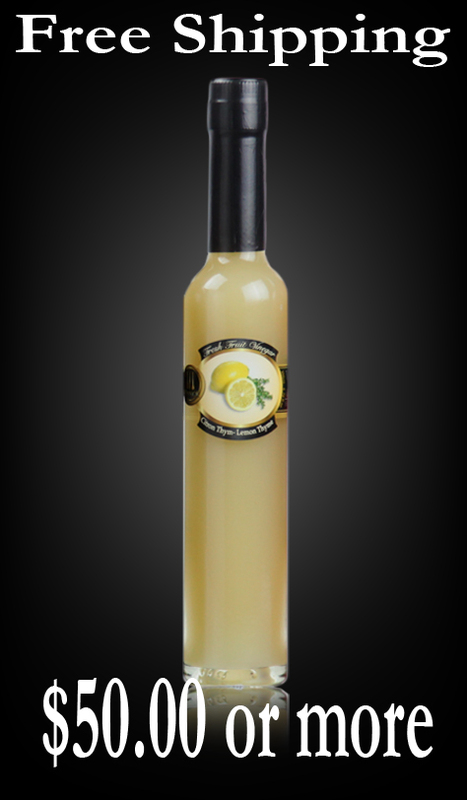 Use it alone as a salad dressing or use this great gourmet vinegar on your salads. Being nice and thick There is no need for any added oils in your diet. Having only 5 calories per table spoon the dressings that are served with fig vinegar have a mild, delicious flavor. People who don't like harsh vinegars will also love the balanced flavor of this gourmet vinegar. Check out our "Recipes" tab for more great ideas for this vinegar. 2. Figs are a great source of potassium, a mineral in which many people are deficient. Potassium helps to regulate blood pressure and other important body functions. 3. Figs can help boost the activity of the digestive enzyme pepsin thus improving metabolism. 4. Figs are also a good source of iron, magnesium, potassium, vitamin B, as well as vitamin K. Figs contain different types of antioxidants. 5. Fig’s fruit fiber has been shown to significantly lower the risk of breast cancer in postmenopausal women. Where would our kitchen cuisines be without the aid of this lovely fig vinegar... many thanks!